New! 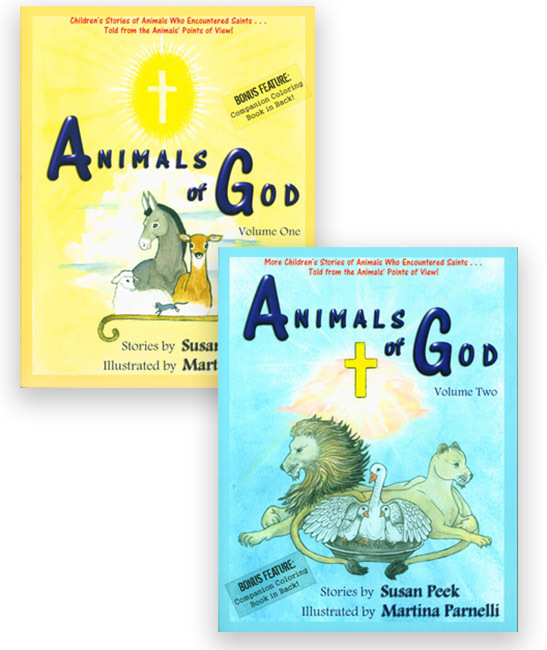 Catholic Author Susan Peek brings us these short stories of animals that encountered saints...told by the animals' points of view! Easy to read pages for the your child that has just learned how to read. Beautifully illustrated with black and white drawings. 8.5 x 11 inches. Soft Cover. 120 pages each, includes Bonus Reproducible Coloring pages in the back!